This portable unit is a civilian model of the Picker Field unit. It was originally designed for the military by the Picker Corp. as a knockdown unit that was delivered in 3 large cases as a "field unit" used by the Military for many years. 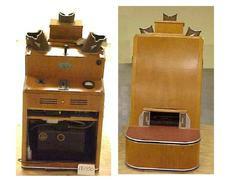 This model was comprised of parts that are close to the same as the field unit but this machine was used as a portable X-Ray system in hospitals. 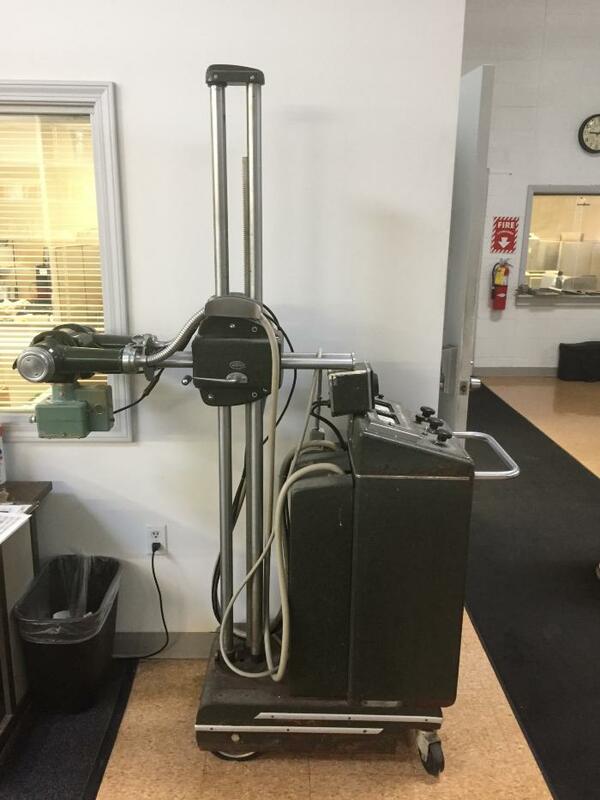 Grand X-Ray is an independent business based in Grand Rapids that has been selling and servicing X-Ray equipment since 1967. The company's founder, Arthur L. Riley, served in U.S. Navy during World War II on an aircraft carrier, The Wolverine, in Lake Michigan. Following the war, Riley was the only X-Ray technician in Grand Rapids and serviced machinery at both Blodgett and Butterworth Hospitals. Riley served as Chief Technician at Blodgett for over 20 years. Arthur L. Riley started Grand X-Ray in the basement of his family home on Union Street. Now in its 50th year, Grand X-Ray is celebrating five decades of successful business. 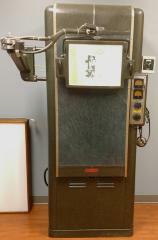 Arthur's son, Rick Riley, the company's President since 1999, has built a large collection of vintage X-Ray equipment that is displayed at the company’s office on Oak Industrial Drive. Rick has offered two pieces from his collection as donations to the GRPM.